Sonnie Ayere is the founding Chairman and Group Managing Director of Dunn Loren Merrifield, a full service financial investment house. Prior to this, he successfully pioneered and directed the investment-banking arm of UBA Group Plc between 2005 and 2009 as managing director and CEO of UBA Global Markets, now United Capital PLC. 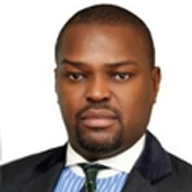 With twenty-four (24) years of professional investment banking experience, he has worked at the International Finance Corporation (Private Arm of the World Bank), HSBC Bank, NatWest Bank, The Sumitomo Mitsui Bank and BMO-Nesbitt Burns. Sonnie Ayere holds an MA (Hons.) in financial economics from the University of Dundee, Scotland. He is an alumnus of the Cass Business School London where he obtained an MBA.